WHILE the pilot of the new drama series, Frequency, has won the hearts of sci-fi fans, our attention is on American actor Riley Smith. Last seen in Nashville, Smitha��s character herea��deceased NYPD officer, Frank Sullivana�� communicates with his daughter, Raimy Sullivan (Peyton List), across a 20-year time warp, via a ham radio. 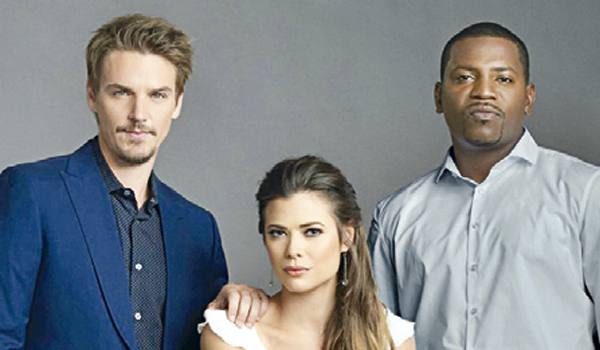 The 38-year-old talks about his co-star and how everything was leading up to this show. Whata��s it like working with Peyton List? of the show. I said, a�?I know a girl that I work with all the time and I think shea��s perfect.a�? For her screen test, we worked together for three hours. What first attracted you to the role? Do you relate to the show at a personal level? One of the main themes in the show is the butterfly effect, how one action can have so many consequences. Everything happens for a reason and we wouldna��t be here today if we had taken a left instead of a right years ago. For me, Ia��ve been a journeyman actor whoa��s done a lot of pilots and a lot of shows that didna��t last long. All that led to this. It feels right.